Out with the glass and in with the aluminum as the use of aluminum cans continues to grow in the craft beer market. Beer in aluminum cans have a longer shelf life than beer in glass bottles mainly because of its ability to block UV light touching your beer, and aluminum is more versatile for active craft beer enthusiasts than the traditional glass bottle or refillable glass growler. 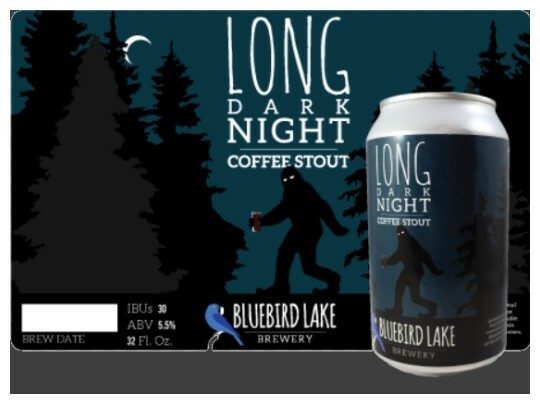 Pressure-sensitive labels allow breweries, soft drink and other bottling companies the option to order label for short runs with unique designs for seasonal brews. deSIGNery has stock sizes for both 12 oz. cans and 32 oz. Crowler® applications. If you are in need of a custom die-cut design for your beer or crowler cans, contact us for pricing. Check out our Spring Sale for savings on 12 oz and 32 oz Beer and Crowler Labels and Beer Can Labels in the following link. 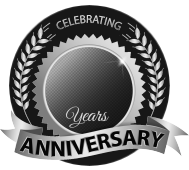 BBB Member since 2004 with a proven record of complaint free customer satisfaction on items like 12 oz and 32 oz Beer and Crowler Labels. Click on the BBB logo above to check our record or leave a customer review. If you are in the market for Beer Can Labels, give us a call today and you will soon realize why after 24 years we still have an A+ BBB rating! 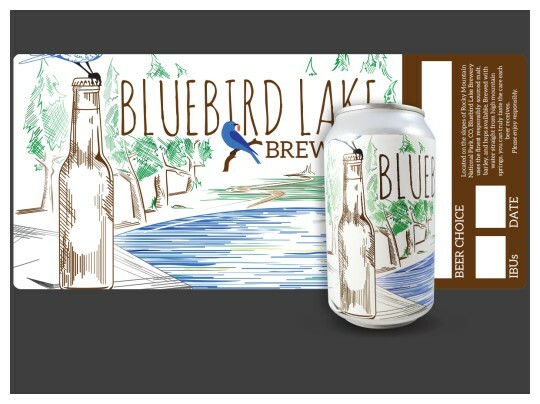 At deSIGNerySigns.com we have more than 24 years experience in designs for our Beer Can Labels. Call us today and let our design specialists help create your next project to promote your product or business. FREE Shipping on all decal and sticker products | Free layout | A+ BBB rating | 24 years in the business | Call Today for a free quote on Beer Can Labels. Beverages using these labels for promotional purposes should be for consumption only. deSIGNery Signs is not responsible for government regulations concerning the proper labeling of beverages for sale. Consult the TTB guidelines for beer labeling practices. 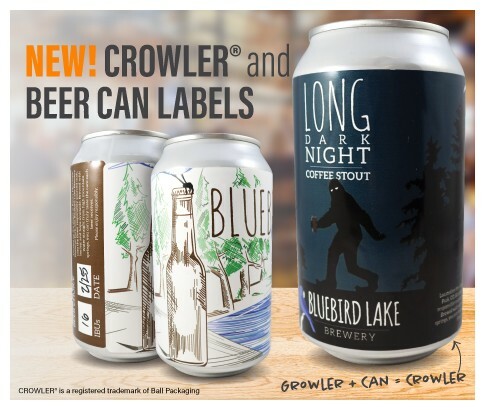 Beer can labels and Crowler® can labels are made of BOPP (a polypropylene material) which is water resistant and supplied with a pressure-sensitive permanent adhesive. No. 5922 12oz. Aluminum Can Labels are made of white polypropylene (BOPP) and easily applied with a pressure-sensitive permanent adhesive. These can labels measure 3¾" x 8" and are a perfect fit for your 12 ounce canned beverage. No. 5923 32oz. Crowler Aluminum Can Labels are made of white polypropylene (BOPP) and easily applied with a pressure-sensitive permanent adhesive. These Crowler® labels measure 5.875" x 9" and the perfect size for the 32oz. aluminum can.